C5 Corvette Dress up your Corvette Engine Bay with our all new Slotted Carbon Fiber (6) Piece Engine Fluid Cap Covers. 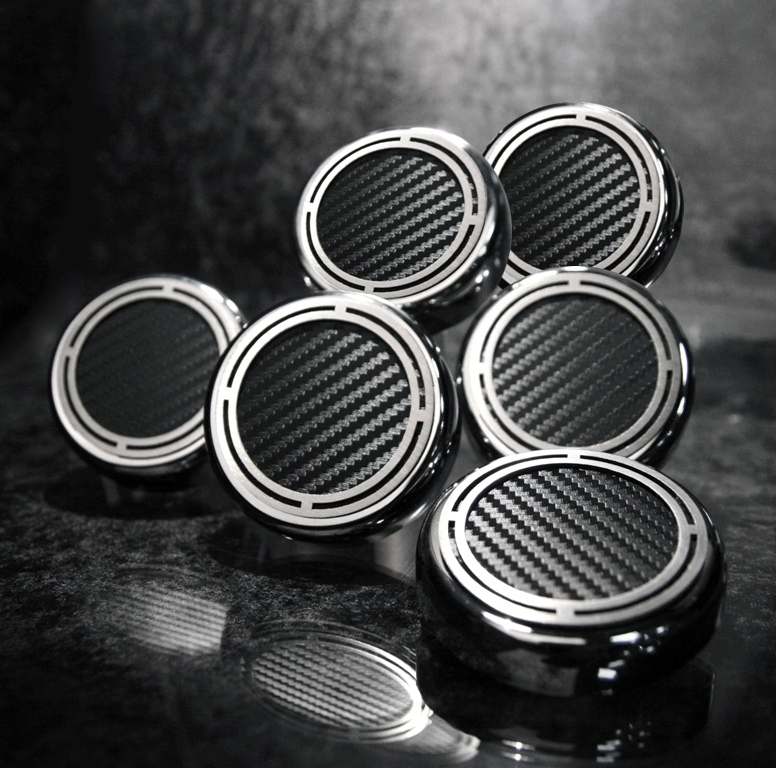 These Chrome Caps feature high performance faux Carbon Fiber Tops with Brushed Stainless Steel Trim. Easily installs over your factory fluid caps. This set includes covers for your Oil, Water, Brake, Power Steering, Windshield Washer Fluid and Clutch Fluid Cap Cover, factory caps. 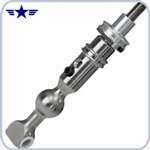 Fits all 1997-2013 C5 and C6 Coupe and Convertible Corvettes with Manual Trans. only.